Having now discussed the importance of nourishment in our lives, the other very important part of natural healing lies in the idea of eliminating many of our toxins and old nasties from within us - thus the need for cleansing. When we combine cleansing with nourishment, it is like we are cleaning out all the old toxins from within us whilst at the same time, we are feeding our body with lots of new nutrients to give it everything it needs to heal itself. On this page, you will find out some of the most effective ways to cleanse your body and mind and we hope that this information can help you on your pathway towards more health, vitality and wellbeing. When people are suffering from serious dis-ease, the first step is to cleanse the colon. Many of us don't fully realise just how many types of parasites, worms and other nasty things like to live in our colon area, feeding on our old faeces that haven't fully been eliminated from our bodies. Doing a colon cleanse is one of the most important steps to take in regaining your health! Simply put, we need to cleanse away all of the old crap (literally) and then we are better able to establish a better functioning, less waste filled digestive system. A good bowel cleanse will help you to do exactly this. Enemas can also help you with this as well however for some people, the idea of doing an enema is not that appealing as it can be quite invasive. 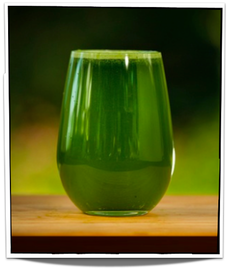 After cleaning our intestinal system (through bowel cleansing), a good liver cleanse is normally next on the list. It is said that before anyone gets cancer, their liver has surely been overloaded and therefore not able to clean the required toxins out of their body. So liver cleansing is also an absolute must for anyone wanting to stay healthy or recover from any kind of serious illness! The liver is also known for providing us with energy so for those who are feeling sluggish or tired, you may also benefit from this kind of cleanse. Sadly, living in today's environment of toxic cleaning products, car fumes, processed foods, pesticides, plastics and the like, our livers are needing to work very hard just to keep up with us in life. So the best thing that you can do for your liver is to cleanse it regularly and say thank you for the wonderful job it does. Kidney impairment can be the root cause for an endless list of ailments because every organ in your body depends on the kidneys. If your kidneys are sluggish, then your body will also be operating sluggishly. So after you have done a bowel and liver detox, the next step is to do a kidney cleanse to then revitalise your kidneys and clean them of any deposits or old residue that may have formed so that they can get on with doing their job. As with most cleanses, it is through mixing a number of herbs that will facilitate the elimination of nasties from within your kidneys. Any well designed herbal kidney cleanse can therefore help to eliminate these nasties and help to bring more kidney health and overall wellbeing into your life. Zeolite is a volcanic based substance which has an incredible sponge like capability to draw in and absorb many kinds of heavy metals and toxins from our body. And when it comes to purification, detoxification or cleansing our body, zeolite is a very valuable addition to your healing toolkit. There are a whole plethora of cleanses and detoxes that you can find on the net which will also be very healthy and wonderful for your body. 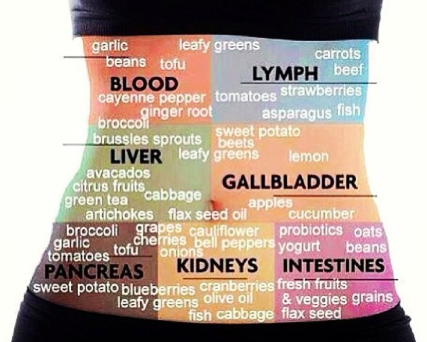 These include things like blood purifying cleanses, lymph cleanses, candida cleanses, general detoxes, juice & vegetable fasts and so many more. Our general philosophy on cleansing is that it is beneficial to regularly cleanse the vital organs i.e. the colon, liver & gallbladder, and the kidneys and combining this will the right nourishment which helps to facilitate natural healing and overall wellbeing. We also like the idea of adding detoxification aids like Zeolite where required for extra assistance! Also, we like the idea of doing regular exercise, deep breathing exercises and taking some quiet time for personal healing & meditation as part of an overall general wellbeing strategy. As with all things in life, it is always about balancing what feels right for you at any given time so please always listen to your own inner voice and trust in your own intuition when doing any kind of cleansing work. We also suggest that at all times, an appropriate professional is consulted prior to cleansing to ensure that you understand and are comfortable with the cleansing processes. Dr Bob Beck was an amazing physicist who designed a very powerful home based healing system which is now commonly referred to as the Bob Beck Protocol. Over time, this simple health protocol has received many glowing testimonials including those suffering from cancer, tumours, fybromyalgia and a wide range of other disease. The Bob Beck Protocol involves four main steps and the first step originated from medical research which was conducted by Harvard, MIT and The Albert Einstein College of Medicine. These studies showed that electrical micro-currents can be applied to the bloodstream to stun, disarm and even kill viruses, fungi, bacteria, parasites, pathogens and other harmful microbes from within the body. it is becoming very clear that the world is starting to understand the benefits of doing regular cleansing & detoxification and from this page, you can see that there are a great many ways that you can cleanse & detoxify the body. For us, one of the nicest, most relaxing and effective ways you can cleanse & detox your body is by having an infrared sauna regularly. By receiving these infrared rays, accompanied by the heat of a sauna, this allows your body to release a great many toxins as you release these through your most effective elimination channel - your skin! 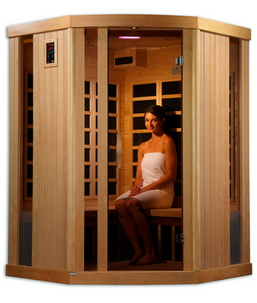 There are so many reasons why having an infrared sauna regularly is a great way to detox and cleanse the body and most certainly, this will help you to live a healthy, happy and toxin free life. Pulsed Electro-Magnetic Field Therapy or PEMF Therapy. PEMF therapy allows you to receive a series of non-invasive electro-magnetic pulses & frequencies so that your body can detoxify, cleanse & heal. As we explained through the Bob Beck Protocol, this type of therapy allows our body to rid itself of many kinds of toxins, viruses, parasites and pathogens which then helps it to regain balance and wellness. For more detailed information about PEMF and how it works, we invite you to watch this very informative youtube video about PEMF therapy and please visit our dedicated page as we explore this exciting style of therapy. The benefits of oxygen cannot be understated. When our cells have enough oxygen, they are better able to function in every possible way. Whether this be through a higher nutrient absorption or through a more effective detoxification processes, getting more oxygen into our cells means more health & well being. For those who are suffering with a major illness, it is very likely that an increase in your internal oxygen levels will help you to recover more quickly (in conjunction with other techniques). This is because a higher level of oxygen within your body promotes healing & detoxification at the cellular level. 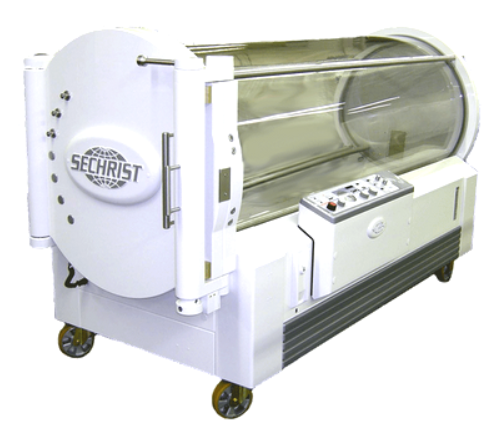 There are many ways that you can go about boosting your oxygen levels, ranging from the breathing exercises right through to using hyperbaric oxygen chambers (and everything else in between). This type of oxygen therapy is also sometimes referred to as ozone therapy and you can find some cheaper home based devices through researching the Bob Beck Protocol. For us, cleansing is also done at an energetic level i.e. whereby we cleanse ourself of many old or negative energies from within. Quite often, these can arise from past thought patterns and as such, this kind of energetic cleansing can help us to release and let go of many past hurts and old emotional traumas so that we are better able to find more inner peace and love in our life. 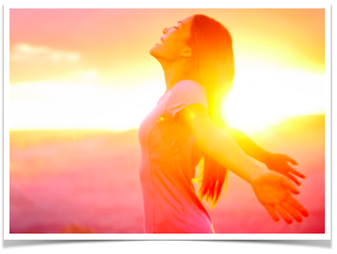 Love Inspiration offers a range of different free self-healing and meditation courses which will all help you to cleanse your energy system and uplift your energetic vibration closer towards love, light & understanding. We also offer our free distance healing service which can also help you move towards more health, wellbeing and love in your life. Either of these energetic based healing options will certainly help to bring more cleansing & purification into your life and are totally complementary to all forms of natural healing, medicine or other cleansing practices that you may currently be receiving.